1- The listing agent will receive dual commission when representing the buyer (as customer) and seller (as client) at the same time. There is a fundamental difference between the customer and client in real estate agency relationship. Briefly, to make it more understandable, you can imagine a “client” as the first-class citizen and the “customer” is a second-class citizen. Simply, the listing agent protect his/her “client” interest by covering up the downsides about the property when serving buyer “customer”. The conflict of interest plays an important role when advising buyer customer. Interestingly, buyers like to hear more positive things about the property they fall in love with. A) When there is no bidding war and offers are reviewed individually: The Listing agent is representing the best interest of the seller client and would like to get most money for the house. You may ask why? other than being obligated to do represent the sellers best of interest the seller-agent relationship is much more stronger than agent-buyer. 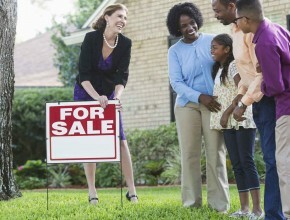 Sellers usually are willing to buy anther house with that agent and they have more business to do than a buyer-agent. The price of the house even if it is over priced has been set by agent and the listing agent does not intend to change it. When it comes to negotiating the price, the listing agent who is now playing as the buyer agent knows exactly how much you are willing to pay therefore sets the bar to get the maximum price for his/her seller client. Remember, the agents are usually trained to negotiate and right from the beginning they know how much you are interested and willing to pay. After all, the listing agent not only will receive more if sells higher but also gain the reputation of selling for %100 of the listing price. B) Now imagine that there is a bidding war (multiple offer involved): As the Listing Agent will see all of the offers unless he does something illegal he cannot buy that home for you and it is usually ended up paying couple of thousand over the asking price. He may inform you about the maximum price could win you in the war but if there is another agent whose buyer wants to bid more then you have to spend much more to get that house. Most of the complaints filed by sellers, buyers at Real Estate Council of Ontario (RECO) is related to multiple presentation where listing agent is representing the buyer. 3- You should ask you this question, “why do I need to have an agent? ” Most people give this answer: to represent my interest with a great negotiation skill. Choosing a listing agent to represent a buyer is like going to a court where the prosecutor and defense attorney are both the same person. The Listing Agent’s goal isn’t to get you the RIGHT house, it’s to get you to buy THIS house. No, not yet, but when we are ready to buy a home, we will hire our “buyer’s” agent to represent us. Other answers are more likely get you in trouble. Agents usually ask the question to establish an agency relationship. If you have an agent, the listing agent should back off. Multiple Representation : When one real estate brokerage (through their agents) represents the interest of buyer (customer or client) and seller (customer or client). While it is legal for an agent to work for both the Buyer and the Seller in Ontario but is not recommended for the amount of complaints filed due to the misrepresentation is . The written confirmation from buyer or seller must be obtained when multiple representation exist. Agent (real estate agent): The person who is authorized by the hiring brokerage to deal in real estate. Agent can sign the agreements on behalf of the brokerage. Buyer’s Agent: The agent hired by a brokerage different than the listing agent who represents the buyer. Customer: Who signs the Customer Service Agreement with agent who is authorized by the brokerage. The agent does NOT solely work for the best interest of a customer and provides limited services. Client: Who signs a Seller or Buyer Representation Agreement . The obligations to a client are more than customers including the Fiduciary obligations to protect client’s best interests at all times and maintain confidentiality.